Researchers have produced the first high-resolution structural information of a brain receptor that may hold promise for developing better treatments for epilepsy, anxiety, and insomnia. 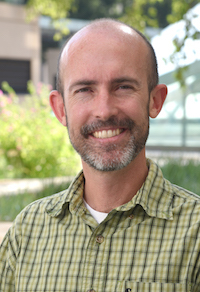 Scientists have long viewed the receptor, known as GABAA, as a pharmacological gold mine, said corresponding author Ryan Hibbs, PhD, Assistant Professor of Neuroscience and Biophysics at UT Southwestern Medical Center in Dallas, but until now, researchers could not get a clear image of its structure. Hibbs explained that most of the inhibitory signaling in the brain is mediated by the neurotransmitter GABA binding to the predominant receptor, GABAA. Dysfunction of the GABAA receptor is found in conditions marked by excessive excitation in the brain, such as epilepsy. For the nervous system to function, a balance of excitatory and inhibitory signals is required. “We wanted to see in fine detail how the GABAA receptor is built, so that we could better understand how it works, and how drugs like those used to treat epilepsy and anxiety and to induce anesthesia act on the receptor protein,” Hibbs said. UT Southwestern researchers published the first atomic structure of a brain receptor bound to a drug used to reverse anesthesia and to treat sedative overdoses. Credit: UT Southwestern. The GABAA receptor has proved notoriously resistant to imaging by X-ray crystallography, but an approach called cryo-electron microscopy yielded a detailed look at its elusive structure. With this method, Hibbs and his team were able to take about 1 million pictures of the receptor at very high magnification, allowing them to reconstruct a high-resolution image. The team also imaged the structure in connection with the drug flumazenil (Romazicon). This GABA receptor antagonist can treat drowsiness caused by sedatives following surgery or drug overdose. Such drugs are widely prescribed for epilepsy and anxiety. Flumazenil is used to block the effects of these drugs—to directly knock them out of their binding sites, Hibbs said. The researchers were able to define how GABA binds so selectively to the receptor and to explain why drugs like benzodiazepines and flumazenil act specifically on this receptor. The discovery could be good news for epilepsy patients. The production of more selective drugs that target the GABAA receptor may help the people who require them avoid side effects such as sedation and tolerance. Hibbs predicts that the GABAA imaging breakthrough will lead researchers in many directions. He cited the “fascinating diversity” of medically useful molecules, as well as drugs of abuse, that act through this receptor. These include benzodiazepines, barbiturates, general anesthetics like propofol, neurosteroids, and ethanol. “Understanding this receptor, and how these different classes of drugs act upon it, is a powerful window into understanding how the brain works—the ultimate goal of my group and many others,’’ Hibbs said. The study, “Structure of a human synaptic GABAA receptor,” was published in Nature.